There are a million different things to see when you travel to Japan. Whether you go for the food, the electronics, the manga, or, ahem, the unmentionables, you’ll still have some free time for wandering the cities and checking out the local landmarks. One of the biggest tour attractions in Japan are its temples many of which are considered National Treasures and attract hundreds of thousands of tourists per year collectively. 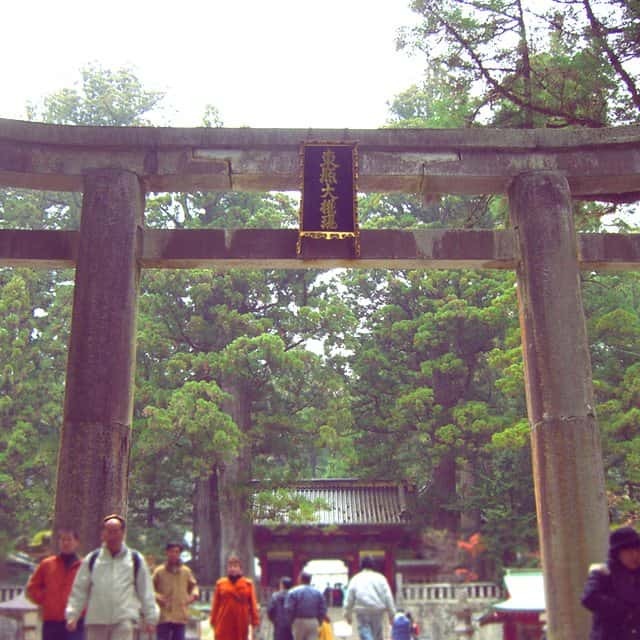 This list of 152 temples in Japan on Wikipedia is pretty extensive but it will give you an idea of what’s on offer depending on what area of the country you’re visiting. Almost every major city in Japan has a temple you can visit. When my husband and I traveled to Japan in 2005, we went on a sightseeing mission to Kamakura, a sleepy coastal town just south of Tokyo. Kamakura has over a dozen temples including the famous Five Great Zen Temples and we spent an entire day there visiting temples and eating at the local restaurants. Kamakura, Nikko, Kyoto, all of these cities are accessible by train or shinkansen (bullet train) from Tokyo and can provide a day or two worth of fun and adventure. Just like many other places in the world with holy destinations, Japan’s temples also have a certain etiquette to abide by when you visit them. Wear modest clothing and try to blend in as much as possible. Have you ever noticed that traditional Japanese clothing covers up, well, pretty much everything? Even geisha in Japan, some of the most desirable women, are completely covered excepting the back of the neck. This is all to say, please be considerate of the people around you and wear an appropriate amount of clothing. 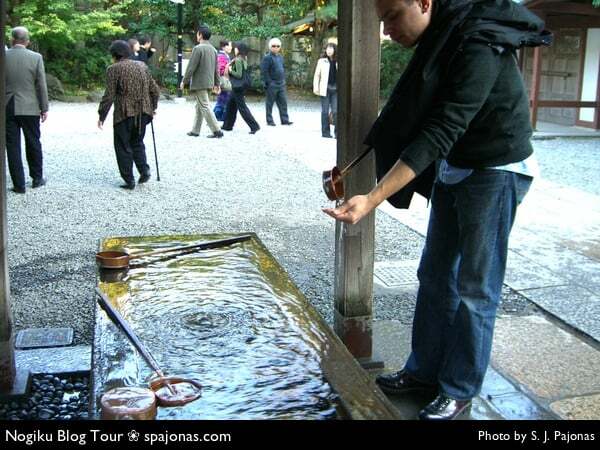 When you approach a temple and shrine, it’s usually customary to pay a fee. These fees help maintain the temple because with all of the foot traffic that flows in and out of a temple everyday, you can only imagine the upkeep involved. There’s usually a box located near the entrance with a price on it or if it’s a larger temple there will be an admissions gate. Inside, you will find a purification station. The first time I ever saw one of these, I froze up in horror that I would get it wrong, but purification is pretty easy. Step 1: Take the ladle of water in your right hand and wash your left hand, letting the water fall to the ground, not back in the cistern. Step 2: Switch hands and wash your right hand. Step 3: Cup your right hand, pour water into it, and use this water to wash out your mouth. DO NOT DRINK FROM THE LADLE. Spit the water out discreetly onto the ground, preferably covering your mouth with your hand. Step 4: Tip the ladle so that the remaining water flows down the handle, purifying it for anyone else who takes it after you. Place it back on the cistern. If there’s a towel, you may use it to dry off. After you’ve been purified, you’re welcome to stroll the temple grounds. Many have statues worth photographing or beautiful gardens. The buildings themselves are astounding. Now is the time to take photographs before entering the prayer rooms. Before entering the prayer rooms, be sure to leave your shoes at the door! If it’s a temple that has a separate exit, an attendant will give you a bag to put your shoes in. Step over the threshold into the temple, do not step ON the threshold. It’s about 8 to 10 inches high so lift your feet! Turn off your flash on your camera. Many places ask that you do not take any photos at all, so please look for signs before you enter. Inside, bow to the main idol present to show respect, even if you are not Buddhist. 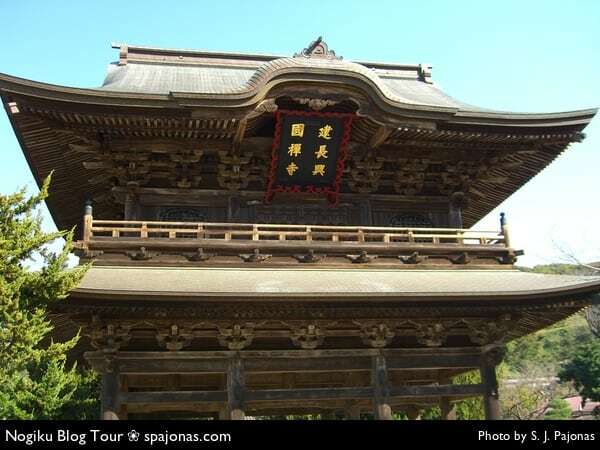 If the temple is also associated with a Shinto shrine (they usually are), there will be a collection box next to a bell with a rope hanging from it. Place a small sum of money in the box, ring the bell, clap your hands twice, bow and pray silently. Clapping twice invites the Shinto gods in to listen to your prayer. When you are finished, bow, clap once, and exit. If there is no bell, just pray silently without clapping. Do not pass between someone praying and the idol they are praying to. This is the same as cutting off their connection to their god. If they are far from the idol and you cannot get past them, please wait politely until they are done. Exit, get your shoes back, and check out any of the spots on the grounds you may have missed before praying. 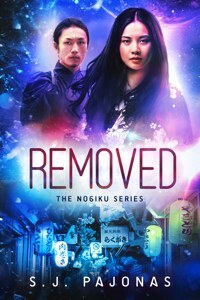 In REMOVED, Book ONE of the Nogiku Series, Sanaa visits her local shrine to pray with her friends on New Year’s Eve. It’s a small shrine and open to the outside so a lot of the etiquette doesn’t apply. In RELEASED, Book TWO, she visits a larger local temple and prays there with her family to mourn a lost loved one. Unless she’s praying on the tatami mats at the back, she can roam the front and keep her shoes on. Many smaller towns in Japan have little roadside shrines or ones tucked into back alleys or courtyards. Be sure to check them out too if you happen upon one! In Tokyo, I love both Sensoji temple in Asakusa and Meiji Jingu in Shibuya. In Kamakura, I was most enamoured with Hasedera temple (which I wrote about in this article on Tofugu.com) and the Daibutsu. In Nikko, Tōshō-gū temple is the place to be. 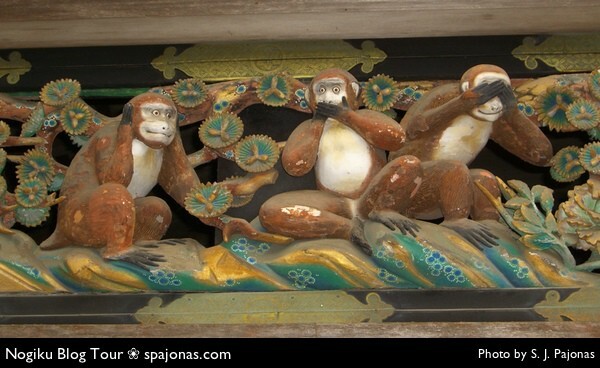 It’s huge, it’s in the mountains, and it has the Hear no evil, See no evil, Speak no evil monkeys. So do I! I put together this Japanese Temples Pinterest board just for you (and me too).